Enter today for your chance to win an eggcellent Chicken Starter Bundle worth over £500! The prize includes an incubator starter kit that provides the ideal equipment necessary to get you started in small scale egg incubation and can be used for up to 10 Hen eggs (worth £139) plus an Eglu Go Chicken Coop to house your chickens (worth £389) – the perfect prize for rearing chickens! Terms and conditions apply: The competition closes at 23.59 17th April 2017. To enter please complete the competition entry page on Omlet’s website. 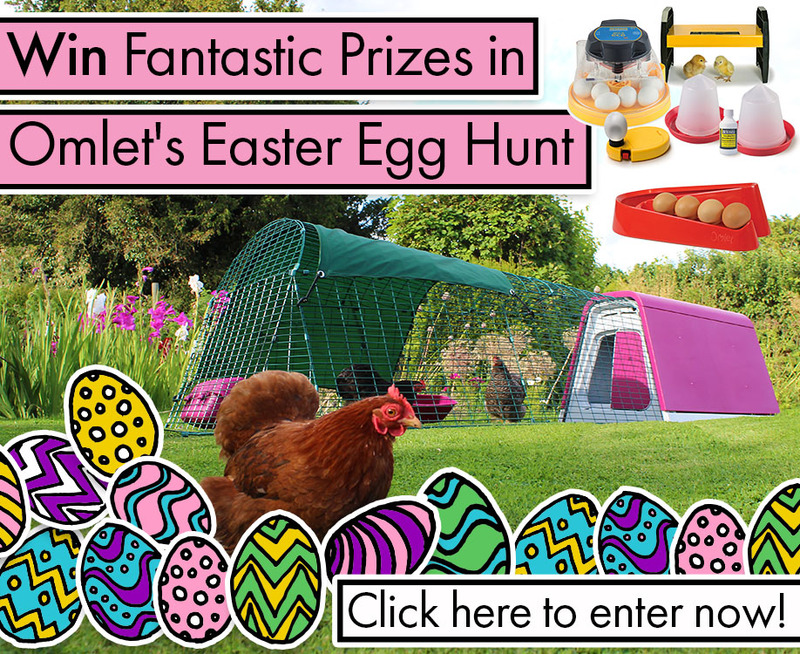 The main prize is a Brinsea Mini II ECO STARTER PACK and a Eglu Go Chicken Coop, plus 10 runners up prizes of egg ramps. Delivery is included to a mainland UK address. The winners will be randomly selected and notified on Tuesday 18th April. Omlet reserve the right to withdraw the competition at any point. Prizes cannot be transferred to cash. This competition is only open to UK residents. « Early Bird Easter Sale – Save 10% Today!